–Season 15 premiered on Monday, June 4 at 8 PM Eastern with live shows beginning on August 6. –Vanessa Hudgens will join Nigel Lythgoe and Mary Murphy as judges. –Episode 8 of ‘So You Think You Can Dance’ will air Monday, July 30 at 8 PM Eastern. Note: Here are the odds on tonight’s ‘Men’s Top Ten’ episode of ‘So You Think You Can Dance’. Rumors are afoot that the finalists have been leaked and I’ve definitely priced this into my numbers. We’ll return for next week’s show with more odds and brand new analysis so stay tuned! At one point, ‘So You Think You Can Dance’ was one of the serious powerhouses of reality television. That was before the digital revolution transformed network TV forever and both the reality show genre and ‘SYTYCD’ has had trouble adjusting. A better way of putting it–the digital revolution has completely obliterated the entertainment world in which the shows originally premiered. At the height of its popularity, ‘SYTYCD’ brought in 10 million viewers a week. Now it’s somewhere in the mid two million viewership and is experiencing the same problem it did last year–viewership has declined every week since the premiere and didn’t rebound at all with the first live show. The ratings and viewership have also shown no improvement whatsoever over last season. The ‘party line’ was that everyone hated the format of last year’s show featuring children between the ages of 8 and 13. That’s likely true but the bad news is that the viewers that the obnoxious brats ran off haven’t returned. ‘SYTYCD’ was life or death to return for another season and there’s no guarantee that they’ll get another reprieve to come back next year. In today’s broadcast landscape there’s nothing that is ‘a lock’ to aggregate a large mainstream audience. Most networks are happy to get a few million viewers in the same place at the same time every week and that’s precisely what reality TV delivers. Plus it’s a relatively cheap genre to produce making it all the more appealing. ‘SYTYCD’ averaged 2.94 million viewers per week in 2016 and are bringing in an average of 2.58 million this year. Fox executives obviously are demanding bigger numbers but among the major TV networks they might be the most delusional about the reality of the broadcast industry circa 2017. The problem for ‘SYTYCD’ is that while their network might be unrealistic about their potential popularity in the new digital landscape that won’t do anything to keep the show on the air. This is really a ‘make or break’ year for ‘SYTYCD’ but if their numbers continue to decline week after week their fate might be apparent long before the season ends. TO ADVANCE TO FINALS OF ‘SO YOU THINK YOU CAN DANCE’ SEASON 15? THE WINNER OF ‘SO YOU THINK YOU CAN DANCE’ SEASON 15 WILL BE? DANCE STYLE OF ‘SO YOU THINK YOU CAN DANCE’ SEASON 15 WINNER? TV RATINGS FOR SEASON 15 EPISODE 8 OF ‘SYTYCD’? TV SHARE FOR SEASON 15 EPISODE 8 OF ‘SYTYCD’? 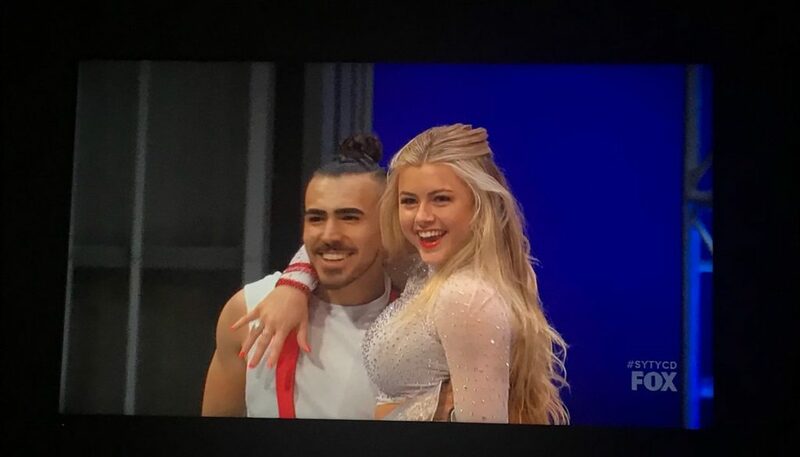 VIEWERSHIP FOR SEASON 15 EPISODE 8 OF ‘SYTYCD’?